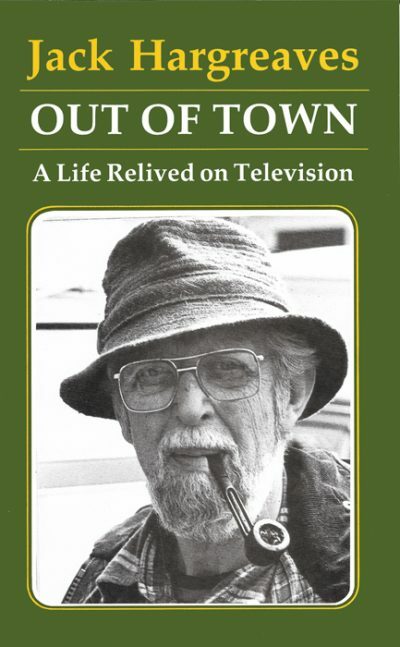 JACK HARGREAVES OBE (1911-1994) was amongst the best-known and most popular of television broadcasters. His weekly magazine programme about life in the country, ‘Out of Town’, was first broadcast in 1959 and ran for 24 years. Its appeal endures, and items from the series continue to be shown, both on television, on DVD, and websites devoted to his memory. He was born in the West Riding of Yorkshire, moving south as a boy to a farm in the Vale of Aylesbury. In 1929 he went to the Royal Veterinary College. By 1933 he was earning a living writing articles for Fleet Street and scripts for radio. He began working in films, first for Alexander Korda and later for Ealing Studios. He joined the Royal Artillery on the outbreak of war, later being commissioned into the Royal Tanks Corps and serving on Montgomery’s staff. After the war, he returned to journalism and in the early 1950s was editor of both Lilliput and Picture Post. Always eager to reach as wide an audience as possible, he was inevitable drawn to television, then in its infancy. He joined Southern Television in 1959, both as a presenter on the children’s programme ‘How’, as a programme-maker on ‘Out of Town’ and as a Programme Controller. After many years living in the New Forest, he moved to Dorset until his death in 1994. Jack’s two autobiographical portraits of country life, Out of Town and The Old Country, have now sold nearly 100,000 copies and remain as popular as ever.